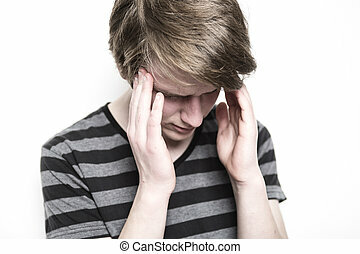 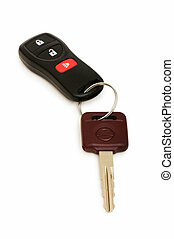 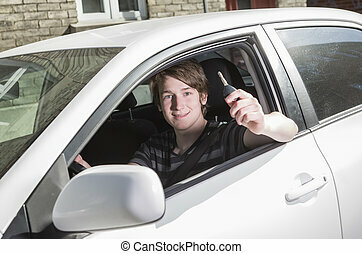 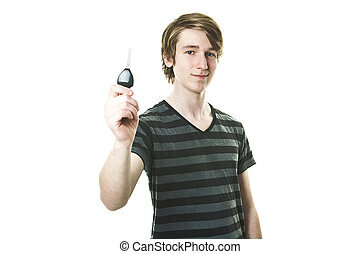 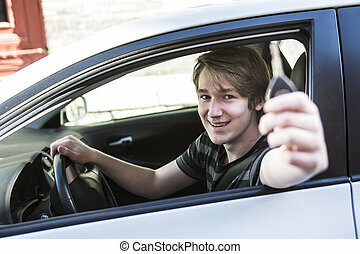 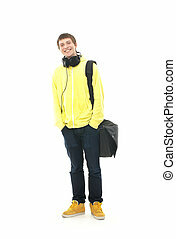 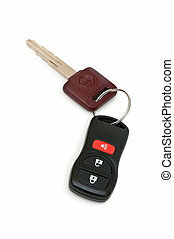 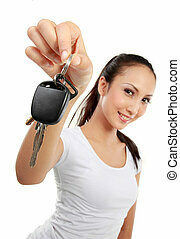 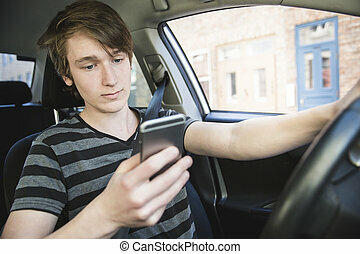 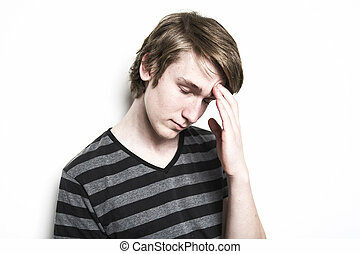 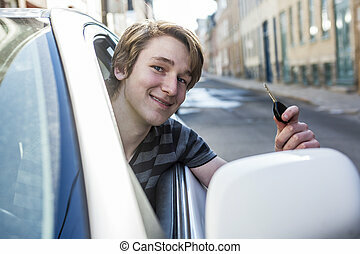 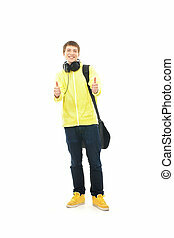 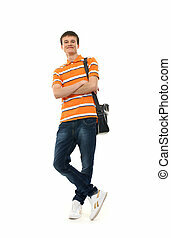 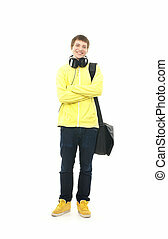 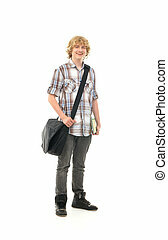 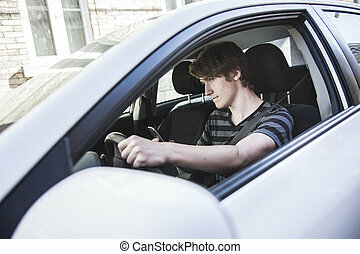 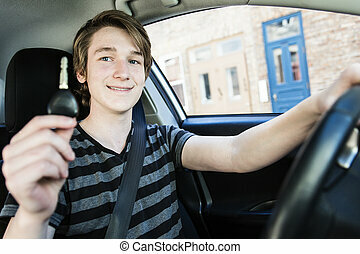 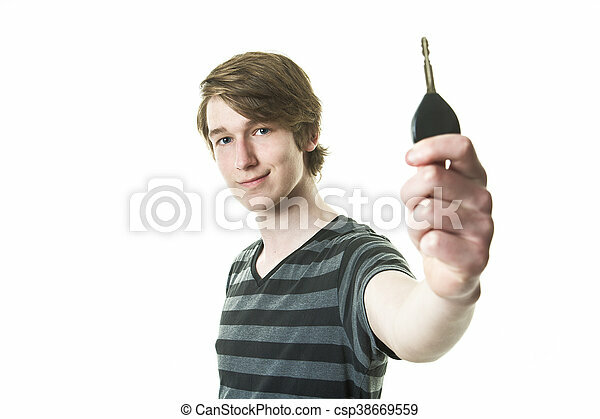 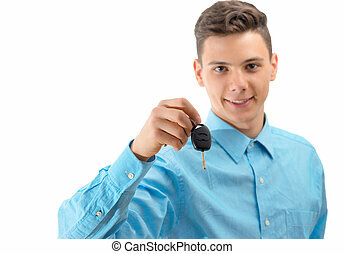 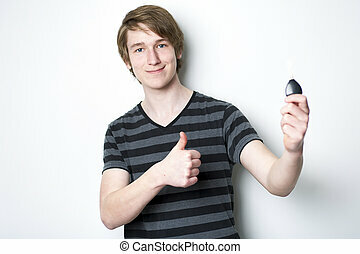 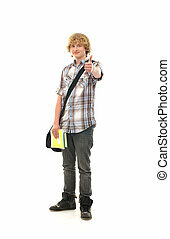 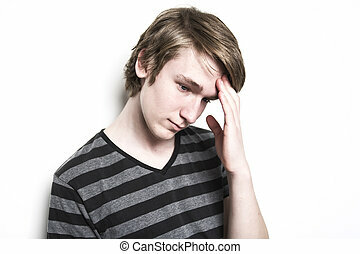 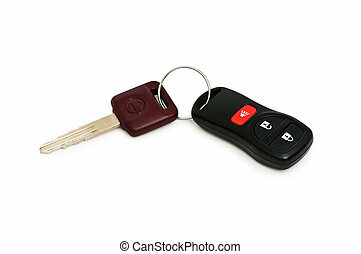 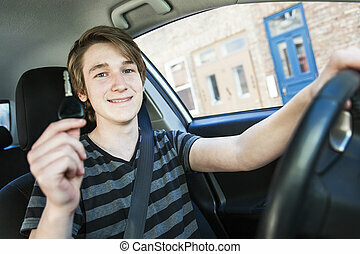 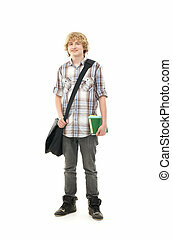 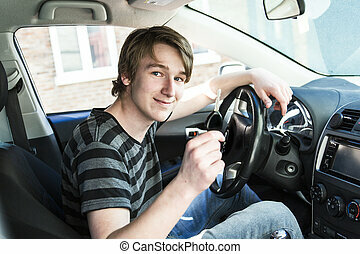 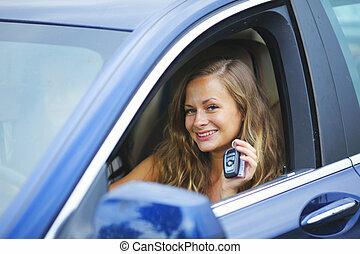 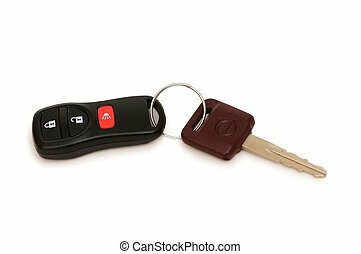 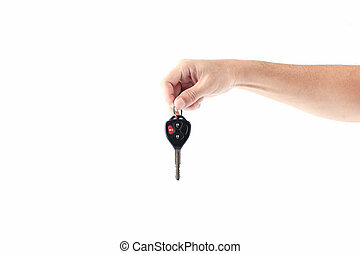 An attractive teenage boy holding car keys isolated on white background. 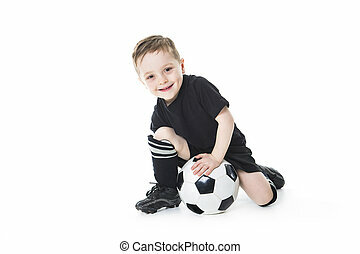 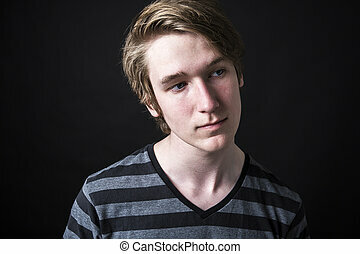 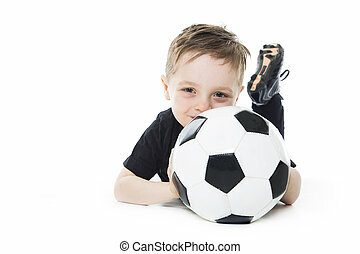 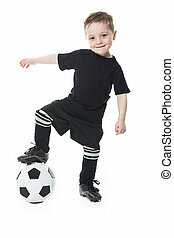 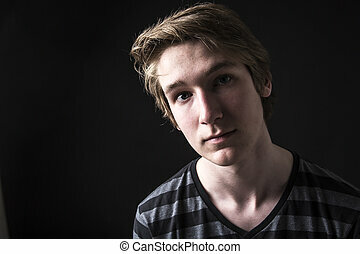 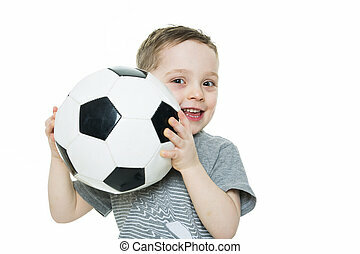 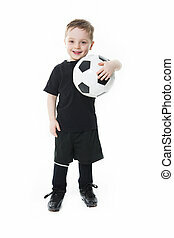 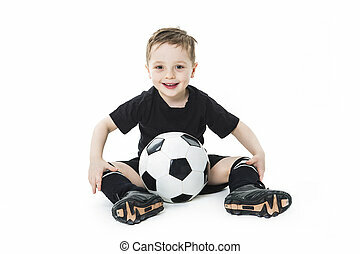 A Portrait of stylish handsome young man isolated on white background. 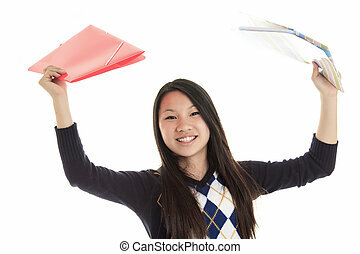 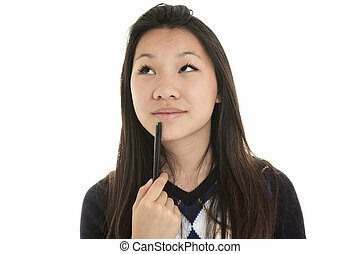 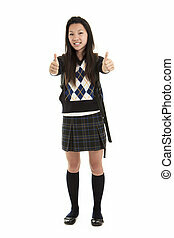 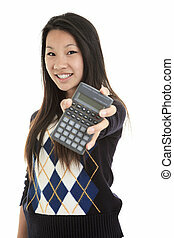 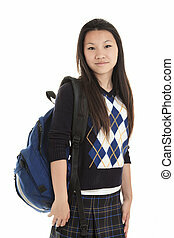 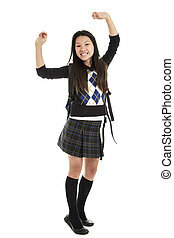 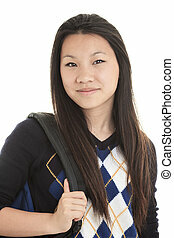 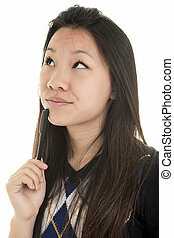 A beautiful Young Asian student isolated on white background.